This is a group dedicated to promoting Disc Dogging in the St. Louis area. We do this by recruiting members, providing local demonstrations and group practices, and holding competitions in the area. 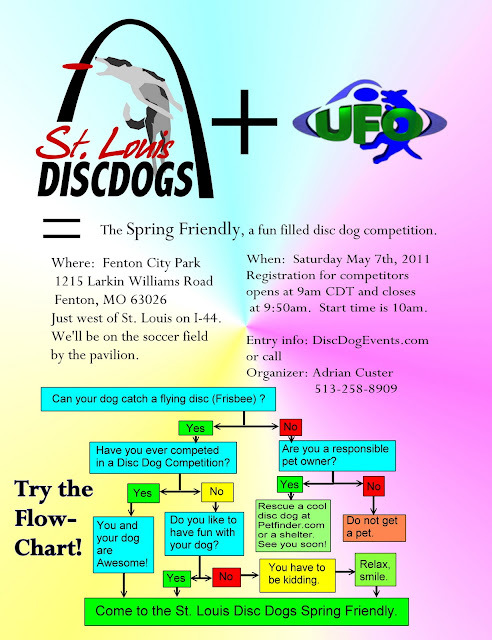 Just a FRIENDLY reminder that the 2nd annual Spring Friendly will be taking place on May 7th. Check out this sweet poster that Adrian Custer whipped up for the occasion. Print these and hand them out to EVERYONE. Spread the word & see you all there!